An X in 6 skill system fits very nicely with the 3 level cap of a “complete” basic game, because level can be directly incorporated into the probabilities without overwhelming the possibility set. No extra system or math is required. You will notice a simple nod to difficulty classes with the climb skill (two potential levels of penalties, for smooth and slippery surfaces) that I think works well, fits into the thief skill math, and is easy to remember. I may add similar tiers to the locks skill as well. In general though, I want to avoid the idea of difficulty classes, which is a concept that I think rarely works well outside of armor classes or other, similar combat targets. I plan on including LotFP-style “fill in the dice” skill boxes on the character sheet, to remind players about the mechanical interfaces available to them (for example, X in 6 search in exchange for spending an exploration turn and risking a random encounter check). More details about how the skill system plugs into gameplay is contained in the section on movement and turns. Skills represent the chances characters have at accomplishing certain common adventuring tasks within the game world, such as sneaking up on enemies or picking a lock. They are not meant to restrict potential actions, but rather to provide an impartial system for resolving actions with clear risks and rewards. 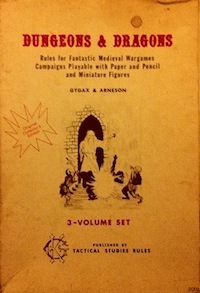 Creative play may often allow characters to accomplish a task without recourse to a skill roll, and thus avoid the potential risks associated with a skill roll (such as the noise made by attempting to use the force skill on a door or chest). All characters begin with (at least) a score of 1 in 6 for all the basic skills. Expert skills are only available to characters of certain classes. Thieves have access to the following expert skills: devices, locks, and steal. Thief skill chances start at 3 in 6 and increase by one point at each level gained. Thus, thieves have a chance of 4 in 6 at second level and 5 in 6 at third level. This skill is used to break open things like stuck doors and locked chests. Add +STR to this skill roll. Using a tool like a prybar or hammer may add another +1 depending on the object being forced. Because forcing something is noisy, it requires an dungeon turn. Note that thieves do not increase their force skill when gaining levels. The climb skill allows you to climb surfaces such as rough walls. Climbing a rope or ladder does not require a skill check. There is a penalty of -1 when attempting to climb smooth surfaces and a penalty of -2 when attempting to climb slippery surfaces. Climbing gear imparts a +1 bonus on climb checks. Climbing requires a dungeon turn. It is often useful to know what is behind a door before you break it down. Two characters may listen at a standard sized door simultaneously. A good effort requires quiet and time, so using the listen skill requires a dungeon turn. If you don’t know exactly what to examine, you can just search an area from top to bottom. Using the search skill requires an dungeon turn, and allows a character to examine an area about the size of one skirmish melee (or a medium sized room). Note that examining specific features and interacting with them descriptively often does not require a full dungeon turn, and may not require a skill roll at all, so descriptive interaction is usually advantageous, as you may be able to avoid a random encounter check. Sometimes you want to avoid danger rather than face it head on. Perhaps this is to set up a surprise attack, or to just avoid detection entirely. In any case, succeeding on a stealth roll allows a character to automatically gain surprise if it comes to combat. All characters attempting to sneak in this way must make separate stealth checks, but discovery of one character does not automatically reveal all sneaking characters. Stealth checks may not be attempted by characters in melee, but might be possible for those outside of melee during combat depending on the specific situation. The devices skill can be used to disable or manipulate small mechanical traps and mechanisms. Using the devices skill requires a dungeon turn. Failure does not trigger traps. This skill is used to pick locks, and requires tools. Attempting to pick a lock requires a dungeon turn. Take something without being noticed. Steal can even be used in melee. On failure, the attempt is not noticed but the desired item is not acquired. Items held directly by others may be stolen, but this can’t be done secretly. This entry was posted in Rules and tagged JRPG Basic, thief on June 23, 2013 by Necropraxis.